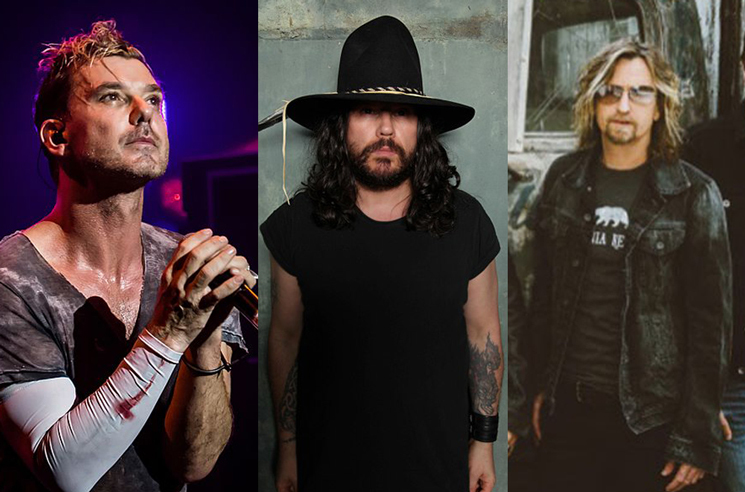 Alt-rock icons Stone Temple Pilots, Bush and the Cult have announced plans to embark on a "tri-headlining" tour this summer. The trio of groups will kick off the "Revolution 3 Tour" in Nashville this July, trekking across the continent for a total of 20 dates. Each stop on the tour will feature the three bands performing in a different order every night. A lone Canadian stop will bring the bands to Toronto's Budweiser Stage on July 25. You can find a complete tour itinerary below. UPDATE (5/22, 11 a.m. EDT): An extra Canadian date has now been added in Abbotsford, BC, with the tour touching down at the Abbotsford Centre on August 28. You can see the updated schedule below. Rolling Stone notes that tickets for all dates go on sale through Live Nation on April 6. For Stone Temple Pilots, it will mark their first tour with new vocalist Jeff Gutt. That band released a self-titled LP earlier this year. Stone Temple Pilots "Never Enough"